I found a great image on Facebook and it came from the Nutribabble Community. Take a look at the One Avocado per week information in the image below! Avocados, Eggplant and Pears target the health and function of the womb and cervix of the female – they look just like these organs. 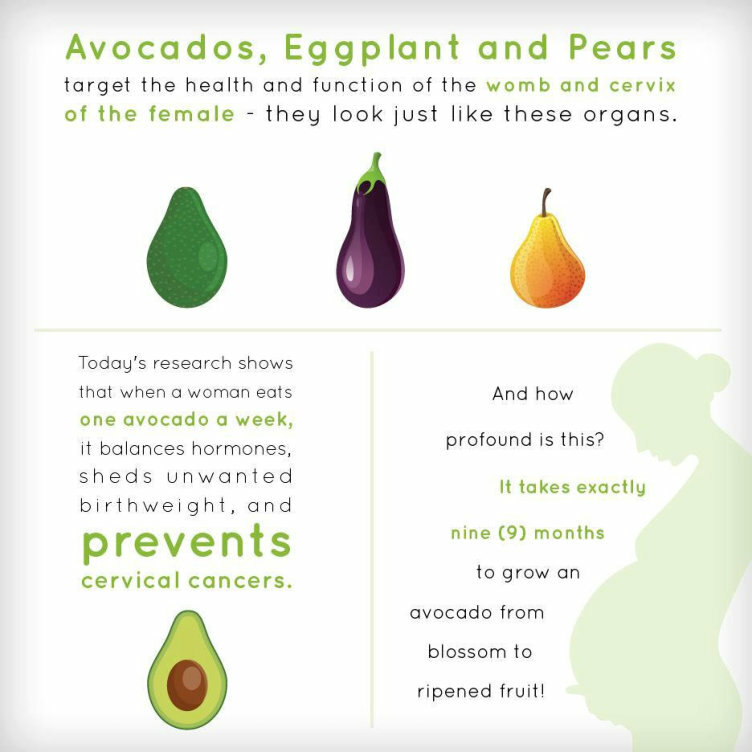 Today’s research shows that when a woman eats one avocado a week, it balances hormones, sheds unwanted birthweight and PREVENTS cervical cancers. And how profound is this? It takes exactly nine (9) months to grow an avocado from blossom to ripened fruit!